See the backup QB in that picture? Do you know what he’s doing? Yes, that’s right: he’s grinning like an idiot. In a more general sense, he’s looking like an idiot. Idiocy is what tonight’s column is about. I’m doing a Thursday night preview because I’m looking out for everyone: I want to prevent people from making dumb decisions that will lose them the week before Sunday even comes. That’s right– I don’t want my readers to look like idiots. Because then they’ll be no better than Matt Hasselbeck. Arian Foster and Frank Gore: I’m lumping these two in together because, last week, they were both stinking piles of fantasy disappointment that contributed, for me, to an abysmal 56 point score (ESPN Standard scoring) in one of my leagues. I am also lumping them in together because I am starting them again this week without hesitation. Both the Colts defense and the Texans defense are adept at stopping the run. The Texans have allowed 17 or fewer total fantasy points every week, except last week’s defeat at the hands of Devonta Free(to run for 32 fantasy points)man. The Colts limited LeSean McCoy to 8 fantasy points and limited Chris Ivory to 5. At the end of the day, however, I don’t think that will matter. You can call it a gut call; you can call it a bias; you can call it raw stubbornness. Or, you can look at the stats. As Matthew Berry pointed out in his Week 5 Love/Hate, Foster has never had fewer than 96 rushing yards against the Colts. As ESPN.com points out, Gore is averaging 4.8 YPC so far this year, and was only separated from a 14 point week last week by an ugly goal-line fumble. And, as I would like to point out, both are playing behind grossly inept quarterbacks, who will not hesitate to run whenever possible. I believe in second chances. You should too. DeAndre Hopkins: The biggest beneficiary of the bogus bonanza that is the Battle of Brady’s Backups—Brian Hoyer and Ryan Mallett, in case anyone has forgotten—has been DeAndre Hopkins. Hopkins has had only one week so far with less that 15 fantasy points. This week, he is up against a Colts defense that gave up big numbers to Percy Harvin and Allen Hurns—who, despite having last names that begin with the same letter as Hopkins, share none of DeAndre Hopkins’s talent. So, this should be a no-brainer. If any Hopkins owner has been thinking, “Hey, I think this is the week that I finally bench the D-Man,” then that person is a disgrace to fantasy football. Was that too much there at the end? Sorry, I just really like DeAndre Hopkins. The Quarterbacks: Do I even need to say it? There are much better options for a QB2 or a plug-and-play. No fantasy owner should own any quarterback that is starting tonight. Heck, no NFL team should own any quarterback starting tonight. Yet here we are. Colts receivers: Last week, in my preview, I advised readers to avoid starting any Colts receiver. Come Sunday, I was proven right. 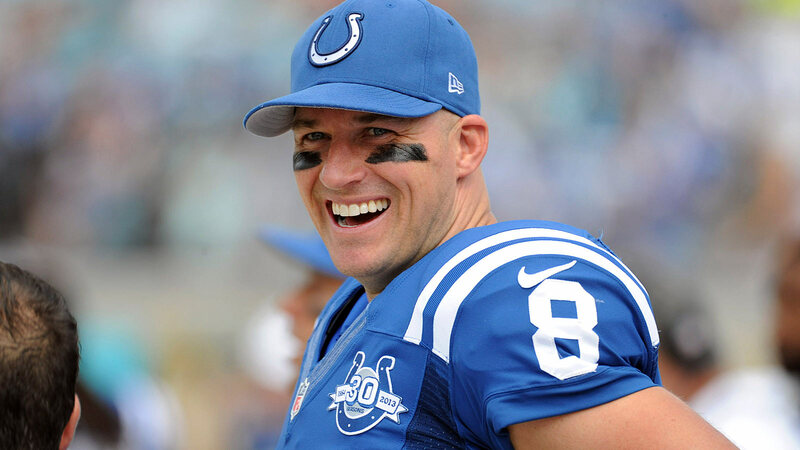 No Colts receiver had more than 7 points (Andre Johnson had zero). There is so much depth at the receiver position that it’s unnecessary to pin one’s hopes for success on a player being targeted by a backup quarterback. Bench these guys tonight, and check out my Start/Sit tomorrow for advice on who to start instead. Didja like that nifty little plug at the end there? I was proud of that one. I’ll be back tomorrow with the rest of my picks, but for now, enjoy the Thursday night AFC South showdown. I know I’ll be watching it and thinking to myself… Man. How ‘Bout That Fantasy?